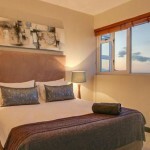 Welcome to this Two Bedroom One Bathroom self catering holiday apartment in Greenpoint with a partial sea view. This lovely apartment is modernly furnished. The complex offers guests a relaxing pool to enjoy and secure parking. Greenpoint offers guests amazing restaurants, coffee shops and bars, also situated close to the V&A Waterfront, Greenpoint Stadium and a little further, breathtaking beaches. 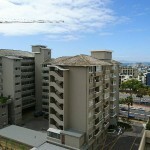 Stunning Two Bedroom One Bathroom self catering holiday apartment in Greenpoint with an open balcony and view of the V&A Waterfront, Harbour and City. Exquisitely decorated, the look & feel is modern, stylish yet comfortable. 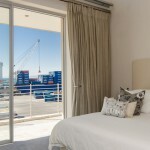 Greenpoint offers our guest amazing restaurants, situated close to the V&A Waterfront, Greenpoint Stadium and a little further, breathtaking beaches. 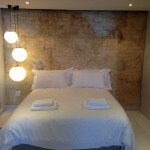 Newly renovated, luxury self catering studio apartment in Greenpoint. Spacious and fully furnished with a large open plan that includes a kitchen and bar stools that seamlessly blend into the lounge area creating a nice flow for entertaining. Greenpoint is a trendy suburb in Cape Town, here holiday makers can enjoy amazing restaurants, the V&A Waterfront close by or with a tinybit of travel, white sandy beaches. 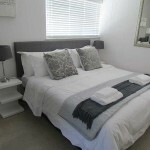 Welcome to this breathtaking Two Bedroom One Bathroom self catering holiday apartment in Greenpoint with an open balcony and view of the V&A Waterfront, Harbour and City. Watch a perfect sunset and sea view. This stunning apartment is decorated & furnished in style, the look & feel is modern, yet comfortable. The complex offers guests a relaxing pool to enjoy and secure parking. Greenpoint offers guests amazing restaurants, coffee shops and bars, also situated close to the V&A Waterfront, Greenpoint Stadium and a little further, breathtaking beaches.